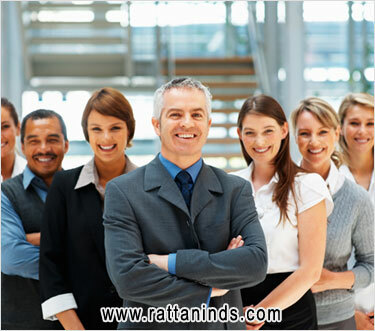 +91- 9592542700, 9216134270 info@rattaninds.com An ISO 9001:2008 Certified Co.
Rattan Industries (India) is a leading manufacturers and exporters of High Tensile Fasteners & Forging Items in India Since 1991, specializing in various grades of Steel Forging Products. We offer a wide range of quality forged products such as Railway Track Fasteners, Wind Mill Fasteners, Automobile Fasteners, Tower and Tele-Communication Fasteners, Construction Fasteners, Oil & Pipline Fasteners, Road Crash Barrier Fasteners, Forged Hex Bolts, Forged Nuts fasteners, Wheel Nut, Anchor Bolts, Foundation Bolts Fasteners, Threaded Rods & Thread Studs etc. that are manufactured with proper planning to ensure their time delivery. "To maintain quality of products like Railway Fasteners, Forged Parts and Components by ensuring sound manufacturing infrastructure with 21st century technologies, so as to emerge as the industry benchmark for product quality and customer service." "To become more reliable exporter of forging products to the world; committed to deliver perfect quality to our customers; time-bound delivery; with resonable competitive costing; work for mutual growth." - We believes that any human activity has an impact on the planet & environment. We are therefore committed to maximize the economic and social benefits of our activities. 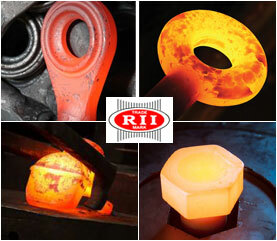 - We pay more attention to quality, due to market competition, we never compromize with quality standards and supply our clients with impeccable quality forging products with good value. - In the context of rising commodity prices we maintain proper balance between the consumer interest, corporate profitability and the livelihoods of labours. Our wide ranging experience in fastener manufacturing & expertise spanning several fastener industries like Railway Fasteners, Automobile Fasteners, Forged Agriculture Components, Forging Tractor Parts, Wind Mill Fasteners, Road Crash Barrier Fasteners, Steel Structure High Tensile Fasteners, Hot Dip Galvanized Fasteners, Forging Components, Transmission Line Fasteners, Tractor Parts, Form Work Accessories, Hot Forged Oroducts like Hex Nuts, Hex Bolts, Wheel Bolts, T-Bolts, Eye Bolts, J-Bolts, L-Bolts, U-Bolts, Forged Scaffolding, Couplers etc. We have the capability to undertake the design and development of mechanical components to cater to the changing needs of customers. We meet the unique application demands of our customers with our high quality range of products. At Rattan Industries (India) our experience of serving diverse industries with high quality Fasteners and Forging Products has enriched our expertise over the years. We have the capability to custom design and engineer a superior range of products as per demand of our customers. We have adopted the total quality management approach, which has resulted in the production of quality hot dip galvanized fasteners products. We maintain highest quality standards from material procurement and engineering design to final product application. Our team of quality control experts ensures efficient and effective production of quality products. Being a customer centric company, we take every care and measure to ensure quality, reliability, dependability, timely delivery, competitive pricing and excellent after sales service. The raw material we use is sourced only from reputed & reliable manufacturers and is checked at different stages of production and supply. The final product is further checked from various perspectives. 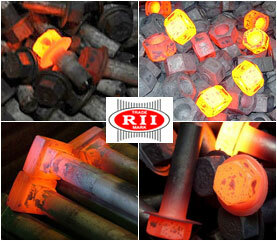 chemically and physically, which depend on the quality of steel and the requirements of customers. Rattan Industries (INDIA) © copyright 1991, All Right Are Reserved.